W. W. Norton & Company, 9780393070644, 349pp. Whether sharing photos or following financial markets, many of us spend a shocking amount of time online. 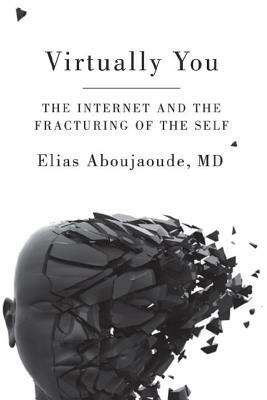 While the Internet can enhance well-being, Elias Aboujaoude has spent years treating patients whose lives have been profoundly disturbed by it. Part of the danger lies in how the Internet allows us to act with exaggerated confidence, sexiness, and charisma. This new self, which Aboujaoude dubs our "e-personality," manifests itself in every curt email we send, Facebook "friend" we make, and "buy now" button we click. Too potent to be confined online, however, e-personality traits seep offline, too, making us impatient, unfocused, and urge-driven even after we log off. Virtually You uses examples from Aboujaoude's personal and professional experience to highlight this new phenomenon. The first scrutiny of the virtual world's transformative power on our psychology, Virtually You shows us how real life is being reconfigured in the image of a chat room, and how our identity increasingly resembles that of our avatar.